Lennon, Weinberg first showed Joseph Zito’s work in a three-artist exhibition of sculpture in 1993. 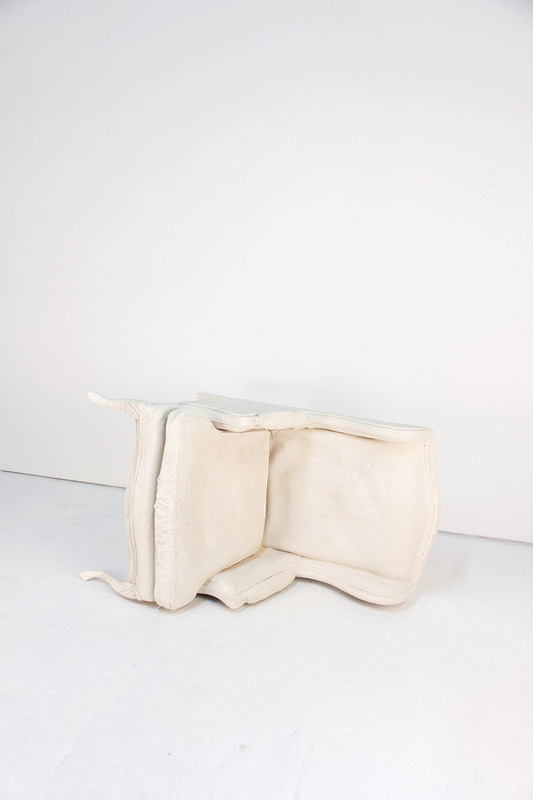 Housed in our first gallery venue at 580 Broadway in Soho, we presented two works including Untitled (For C.W. ),which we are pleased to include in this exhibition, a selective survey of thirty years of Zito’s work. The show will also include First Cut, from 1985, the sculpture that Zito describes as the first work in which he recognized that he had found a way past the influence of older artists that lingered in his work following his graduation from the School of Visual Arts. First Cut was key to a body of work involving an exploration of positive and negative spaces embedded in the wall that were well-received when exhibited in the late 1980s at Damon Brandt and Rosa Esman Gallery. On the surface the work appears to be Minimalist/Conceptual but I see it more in the vein of pure Expressionism. The work is rooted in the primal emotions and not the intellect; more Soutine than Newman. The quote from Zito aptly describes an important aspect of his evolution from a maker of relatively formal explorations of process and material to one who applied that exploration to increasingly self-referential content. This transition became apparent during his solo exhibition in 1997 at our second gallery location at 560 Broadway in which we first showed the strangely affecting sculpture titled Mammy. Three painted bronze casts of a once-considered-appropriate cookie jar were suspended from the hand of an also now inappropriate lawn jockey, that yield a lovely bell-tone when struck with a wooden mallet. The 136-page book gives a more comprehensive overview of Zito’s sculptures and works on paper than is possible in a single gallery exhibition. It has been published in a signed and numbered limited edition of 100 and each copy includes a hand-stamped monoprint on the frontispiece. Inversion, 2012, 13' diameter, Hydrostone, Steel, Aluminum, Motor Untitled (For J.J.), 2012, 9-1/2×12-1/2”, Watercolor on Paper Stand Still Goddamnit 3, 2012, 5-1/2×15-1/4×4-3/4”, Steel, Glass, Sand Lennon, Weinberg is pleased to present its sixth solo exhibition of Joseph Zito’s work, titled Tempus Fugit. This is the fourth in a series of thematic exhibitions in which Zito further examines the confoundhuman condition of what it means to live, to love, and to lose. As indicated by the title Tempus Fugit (Time Flies), the works in this exhibition function as testaments of both acknowledgement and defiance that time cannot be stopped, the past cannot be retrieved, and what has been lost cannot be gained back. To be both living and dying simultaneously is a conundrum that cannot be blindly accepted and explained away. 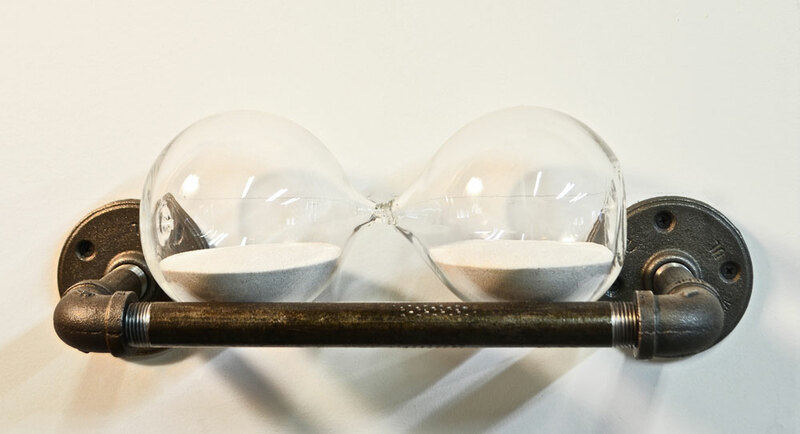 Zito confronts and grapples with this paradox by creating mechanized sculptures, such as Inversion, 2012, and Untitled (Clock), 2012, which operate backwards and counter-clockwise, respectively, and seek to turn back time, to travel in reverse, to head towards the beginning instead of the end. Stand Still Goddamnit 3, 2012, is one in a series of hourglass sculptures that have been rendered inert; not even one grain of sand is permitted to pass and mark a second gone by. The works on paper serve as studies and visual memoirs composed of symbolic shapes and marks. Boats and planes, vessels to carry us from one place to another, also bear resemblances to gravestones and monuments. Pensive and delicate by nature, the watercolors provide an antidote of beauty to the anxiety that hangs in the air of the fleeting passage of time. Joseph Zito was born in 1957 in Brooklyn where he lives and works. He has been exhibiting nationally and internationally since 1987. His work is included in many museum and private collections. My work is about trying to open people’s eyes to the world around them, however futile the endeavor. Joseph Zito views the world as a dangerous place. The routine of our day-to-day lives can be interrupted by the most terrible events. Some are sudden and unforeseen, while others are gradual and inevitable. Wars and natural disasters may take place at a distance but can be as keenly felt as an intimate tragedy. This is the third of a trilogy of exhibitions since 2005 in which Zito addresses a pervasive sense of unease, anxiety and sorrow. All the works in the current exhibition relate to a single massive construction. Two years ago Zito embarked on a project to build a sculpture in the form of a boat. He studied structural plans, made measurements, drawings and a model, and readied himself to build on a larger scale. Along the way, he made delicate watercolors, printed impressions and powdered chalk drawings that record his process and are included in the exhibition. 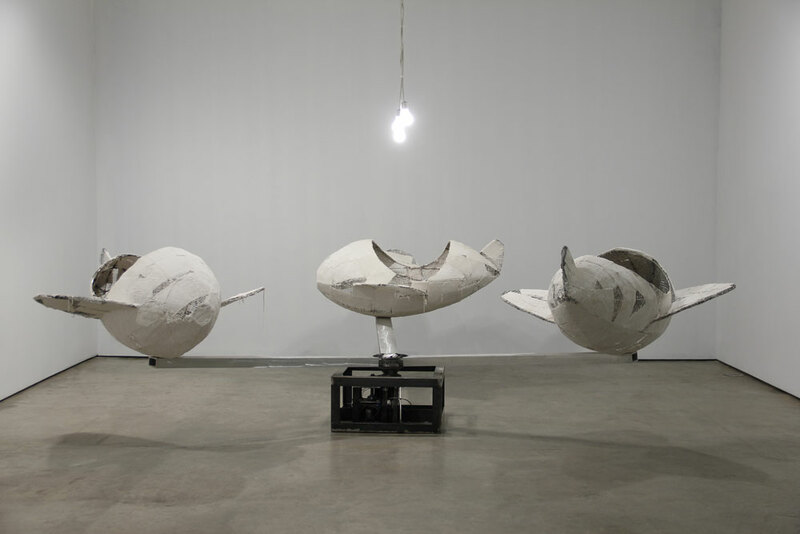 Untitled (for Jamie), 2010, at eight by ten by thirty feet, relates to the dimensions of the gallery’s main room and was realized as a carcass stopped short of becoming a seaworthy vessel. Fully constructed in his studio, it was taken apart and reassembled in the gallery where it is accompanied by a projected image of heavy weather at sea. The far end of the gallery, normally flooded with light from above, is darkened and draped in violet, a color associated with mourning and penance. 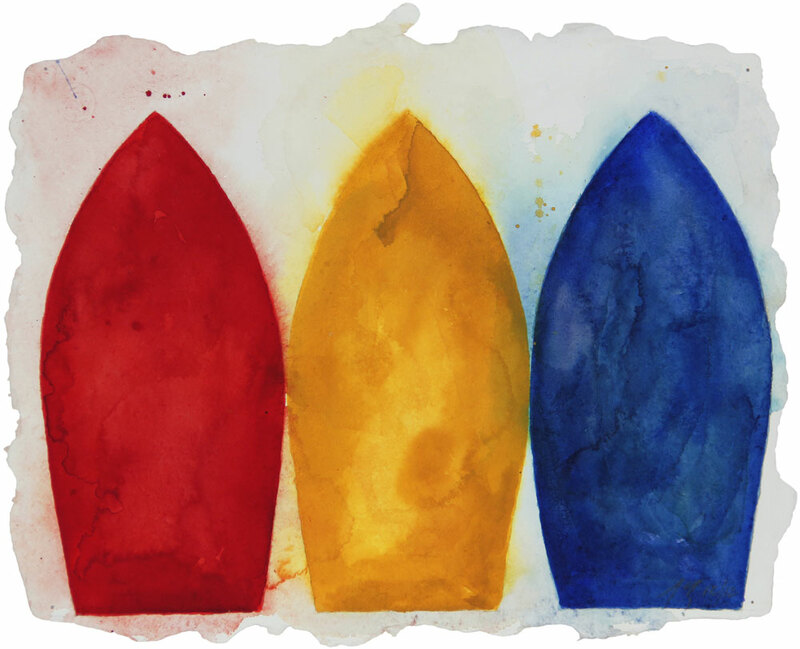 Does Zito’s boat represent the possibility or the impossibility of safety? Is it an ark? It might be a lifeboat, a coffin or a memorial, but it surely is, as are H. C. Westermann’s “deathships,” a vessel for expression of indescribable things. The title of the exhibition, Not Even the Saints Can Help, a line from the Vittorio DeSica film The Bicycle Thief, conveys despair at the same time as it hints at acceptance. A 46-page catalog documents this and the two previous exhibitions Zito has presented at Lennon, Weinberg’s current location: Et Plus Bellum (2005) and Tomorrow The Birds Will Sing (2007). Zito, born in Brooklyn in 1957, has shown his sculptures and works on paper in exhibition in New York and elsewhere since the late 1980s. This is his fifth solo exhibition at Lennon, Weinberg. Having no shortage of issues on which to base a body of work in the world we live in (war, famine, disease, natural disasters), I have chosen one that is most important to me – the children. Someday I hope to be able to make a body of work that is not quite so serious and pessimistic. These are Joseph Zito’s comments about his new body of work. The title of the exhibition is a line delivered by Charlie Chaplin’s character in the 1931 silent film City Lights to an inebriated would-be suicide. Be Brave! Face Life! he adds. A moment later the Little Tramp himself becomes entangled in the means of self-annihilation, tumbling into the water with a noose around his neck and a stone at his feet and is saved by the very man he just reassured, only to fall in again as the two clasp hands in mutual relief. Zito clearly feels that life and our fully conscious experience of it hangs in the balance everyday, and his view finds powerful expression in this group of new sculptures. Untitled (Chair) is a relic of kindergarten rigged to topple and cast its intended occupant to the floor before righting itself and becoming ready for another in a continuous cycle of repeats. The duration of the descent is exactly that of the collapse of the south tower of the World Trade Center. 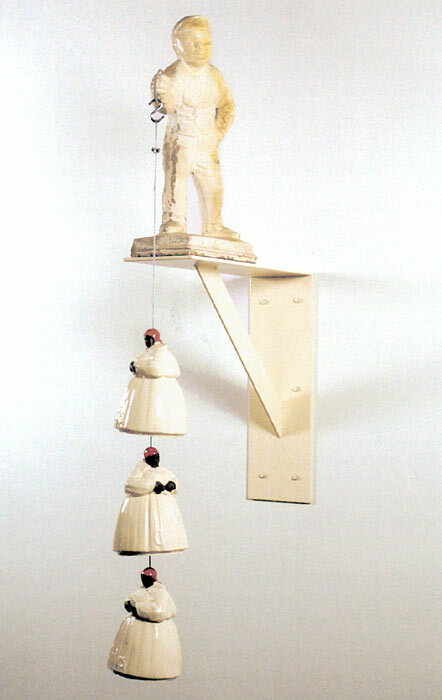 In Falling Angel, a related work, he establishes a repetition in which a heads-down bronze babydoll is lowered and raised between ceiling and floor in sync with a dimming then brightening bulb. Attempts to safeguard what we hold dear are revealed as insufficient, sabotaged and useless in three other works: solid iron “swimmies” rust in an empty wading pool, a pair of red-flannel “footie” pajamas are stretched to the breaking point by the opposing tensions of cables and crank, a pair of “snugglies” are made of heavy, toxic lead. Seesaw embodies danger. Zito gives us an electrified version of a playground standard now relegated to the category of devices considered much too dangerous for contemporary children. A seesaw is a social sculpture that involves cooperation and risk, rhythm and balance, and exemplifies principles of weight, gravity and momentum. In Zito’s construction, a powerful electric current arcs at the points of contact as the ends of the seesaw land and lift. This is Joseph Zito’s fourth exhibition at Lennon, Weinberg, Inc. His solo show at our first location at 580 Broadway in Soho in 1993 was comprised of cast metal shapes strapped and suspended in space. 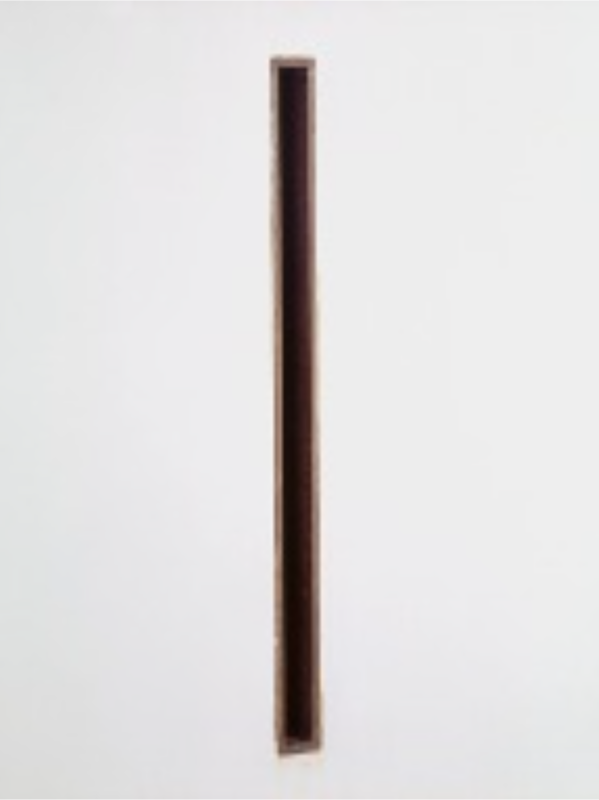 His 1997 exhibition in our next space at 560 Broadway included a diverse group of works associated with the idea and function of bells; some tolled, some didn’t, one was made of chocolate, and an accompanying bin of wooden mallets allowed visitors to ring the bells to their heart’s content. His most recent exhibition in 2005 here in our current gallery location in Chelsea was entitled et plus bellum and introduced some of the themes more fully explored in the new works. Zito was born in Brooklyn, New York in 1957 and continues to live and work there. Joseph Zito’s sculptures are memorials to lives lived or not yet lost, to particular individuals or anonymous unknowable strangers. There is something of a “Tomb of the Unknown Soldier” quality to the exhibition. The works are also about fathers and sons and the extent to which the artist inhabits both identities. Plaid fabric embodies a child’s reliance on the security and strength of his father and is offered folded thirteen times into a tight triangle like the coffin flag presented to the family after a death in the line of duty. An archer’s bow rests against the wall anchored by a bronze-cast utility glove and suggests a mythological narrative, like Icarus fallen to earth. Another bronze cast, a cutaway anatomy model of a human heart, is lashed with a Zippo lighter, faithful companion of WWII era servicemen, burning until its fuel runs out. Fabric again, dyed progressively darker red, appears as off-the-shelf body bags, child-sized and unbearable. Zito casts 50 mm machine gun bullets in brightly colored rubber and makes them useless as weapons, desirable as playthings, paying homage to sculptor H. C. Westermann in the title “Cliff’s Crayons.” Grenades seem fragile as eggs gathered into a slatted wood box, smooth, soft, and white. Or again in copper polished to a mirror shine, reverently placed on a silk pillow atop a slender red tower. The most overtly commemerative of all is the slab of black granite in the shape of a dog tag, quarried, shaped and polished by a monument-maker. In many ways this group of work indicates Zito’s continuing interest in process, material and transformation, and his references to admired predecessors such as Eva Hesse or Donald Judd. Drawings, made by igniting gunpowder on paper, include images of targets, stripes, and stars - patriotic as well as art historical icons. Zito takes materials and ideas fraught with negative connotations and renders them precious, poetic, palatable. This is a very personal body of work, enriched by deep feelings about life and loss. Joseph Zito was born in 1957 and lives and works in Brooklyn. He had exhibitions at Rosa Esman Gallery in 1988, 1989 and 1991, and has exhibited since that time at Lennon, Weinberg, most recently in 1997. Joseph Zito will exhibit a new body of work involving the idea, the sound, and the form of bells. Inspired in part by a piece of music (Arvo Part’s Cantus in Memory of Benjamin Britten) in which the sound of a bell tolling is heard throughout, this group of work began with an attempt to create functional bells out of curved steel plates previously used as molds for his sculptures. This attempt produced viable sculpture, but no working bells. Next, Zito took an actual bell and used it as the model and the mold for a variety of castings and millings, all of which are unable to produce a sound when struck. Along with serving as a metaphor for the inexpressible, this last group of work pays homage to other artists, specifically women sculptors, whose work interests Zito and has influenced his thoughts about both form and content in his own work.